Miyuki saved us time by figuring out the best spots in Nagasaki and routing us to them with ease. TOUR GUIDE RESPONSE: Thank you for your high rating and comment, Gary! I also had a wonderful time with you. Please have a safe trip back to your home! Miyuki was an outstanding tour guide. Nothing was too much trouble. She emailed in the lead up to our tour with suggestions for the day and then happily made adjustments to accommodate some changes we asked for on the day. Miyuki is very personable and we thoroughly enjoyed our day with her - richer for the experience. Highly recommended. TOUR GUIDE RESPONSE: Thank you for your high rating and warm comment! I also had a wonderful time with you. I wish you all the best of your family and the new little one! TOUR GUIDE RESPONSE: Dear Sammy san, Thank you for your comment and high rating for my tour. I really enjoyed talking with you about the relationship among your ancestor, Mr.Glover and Satsuma! It was a wonderful meeting with a nice family. honored to be your guide! We had a lovely day with Miyuki. She helped us plan a day in the ceramics towns of Arita and Hasami. She planned a perfect day for us and was very knowledgeable about everything we did and saw. Thanks Miyuki! TOUR GUIDE RESPONSE: Thank you, Abby. I also had a wonderful day with a lovely family. I was so happy to meet with you who have the same interests for ceramics! We had a fabulous day with Miyuki visiting the highlights other than the bomb related sights in Nagasaki . The day started by taking the ropeway to Mt Inasa lookout to get a great view of the city . Born in the Netherlands I was really looking forward to seeing Dejima which was an early outpost for the Dutch traders .After a delicious typical N. lunch we took the tram to Meganebashi Bridge and walked the temple row . A great day was had with nine of us with our wonderful guide Miyuki. Thank you very much! TOUR GUIDE RESPONSE: Thank you for your high rating and comment, Tonny. I had a wonderful time with all of you. Hope you would come back to see other sites in Nagasaki! She is polite, punctual, knowledgable, flexible considerate, helpful, resourceful, responsive, and organised; all the qualities of a guide that a tourist will ask for. But Miyuki is a natural that what makes our experience so relaxing and enjoyable, she is fluent in English, not to mention that she looked after us so well and was beyond her call of duty to find us Mass service schedule and location, arrange the Goto Island tour for us at her off hours. I have already passed her contact to my friends. TOUR GUIDE RESPONSE: Thank you for your high rating and warm comment, Agnes! I had an wonderful time with you in Sotome and Nagasaki city centre. You sounds like a reseracher of Icomos, or sounds like more professional! Hope to see you again and look forward to meeting with your friends in the near future. TOUR GUIDE RESPONSE: Dear Lynn, Thank you for your high rating for my tour. Hope you would enjoy the rest of your days in Japan! Miyuki is a great guide of Nagasaki. Her knowledge of the city's role in the Meiji Industrial Revolution was both informative and entertaining. She guided us to the city's major sites such as Mt. Inasa, the Peace Park and Museum, Dejima Dutch Trading Post, Glover house and gardens, and the site of the 26 Martyrs. We highly recommend her as a guide. TOUR GUIDE RESPONSE: Thank you for your high rating and comment, John. I really had a wonderful time with you and your pleasant family! Miyuki O is an excellent tour guide. She had an email exchange with us prior tour visit, and helped us customize our one day tour of Nagasaki. It was an extremely hot day particularly in the afternoon, and she helped us by adjusting the tour to a pace we could handle. She was very knowledgeable about Nagasaki's history and could answer all our questions with ease. She is an extremely pleasant person to be with, and we were very pleased with the tour. TOUR GUIDE RESPONSE: Thank you for your comment and high rating, David! I really had a wonderful time with you. I enjoyed answering your interesting questions:-) Hope you would enjoy the rest of your days in Japan. Miyuki was a wonderful tour guide!!! She is extremely knowledgeable and very fluent in English. She also went above and beyond to help us set up our rail passes and book our Shinkensan trips at the end of a long day. She also took me to a fabric store as a friend wanted me to bring back Japanese fabric so she can make something. When we were with her, if she heard someone trying to figure out directions, she offered her help. She is a tremendously generous thoughtful woman. I'd strongly recommend a tour! TOUR GUIDE RESPONSE: Thank you for your high rating and comment, Drew. I had a wonderful time with you in Nagasaki. Thank you for choosing Nagasaki as one of your destinations in Japan! I am so happy I took this tour. My guide, Miyuki, was very knowledgeable about everything on our tour. She even took us shopping for special items for my granddaughters! And her food recommendation was superb! I highly recommend the full tour. If given the opportunity, I will use this tour company in the future! Thank you! TOUR GUIDE RESPONSE: Thank you for your high rating and coment, Nikki! I really had a wonderful time with you and Skyler. Wishing you a happy and prosperous New Year!! My family and I toured Nagasaki with Miyuki san and we enjoyed the experience immensely. This is actually the second tour my husband and I have done with her and we brought the rest of the family along this time. 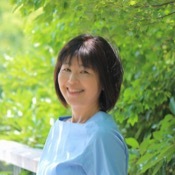 Miyuki san is an excellent and flexible guide and will customise the tour experience based on your interests. She also knows the best places for Nagasaki specialties. More than all that, she is a helpful, kind and warmhearted person. Please take a tour with her if you visit Nagasaki. TOUR GUIDE RESPONSE: Thank you for your high rating and comment again, Maria san! I could spend a warm time with your family in Nagasaki. Hope to see you again! Miyuki is a good guide, who was well prepared, and is very knowledgable. We (family of four, 2 small kids), had a great day with her in Nagasaki. She tried was very sensitive to our needs as a family, and was a great help in seeing a lot of interesting sights. Thank you, Miyuki-san for a lovely day in Nagasaki. TOUR GUIDE RESPONSE: Thank you for your comment and high rating, Ruud san. I also learned a lot about Dutch culture and history at Dejima. It was a lovely day for me as well with a beautiful family! Miyuki was an extraordinary guide. She possess a wealth of knowledge about the Nagasaki bombing. Listening to her grandfather's experience of the horrors of the Nagasaki bombing added a real life aspect to the tour. She was pleasant and flexible. I would highly recommend her. TOUR GUIDE RESPONSE: Thank you for your wonderful comment and high rating, Kelly. It was a memorable day for me as well with a beautiful family, a cute daughter, a smart son, nice husband, a cheerful father and a sweet mother! Miyoki was very flexible and managed our day to meet our needs. This including taking us to the Railway station and sorting out all our forward bookings. We had a lovely lunch at a Japanese resturant which we would never have found on our own. The Peace park and Atomic Museum are a must we found this very moving. Miyuki is one of the best guides we've ever had. She was extremely knowledgeable, courteous and friendly. We warmly recommend her to all foreign visitors to Nagasaki! Her English was impeccable! TOUR GUIDE RESPONSE: Thank you for your high rating and comment, Tor! I was happy to introduce about the different aspect of Nagasaki from the image you had. Hope you would enjoy the rest of your days in Japan. Miyuki was a great representative of Nagasaki. She was punctual, thoughtful and gave us a great introduction to the history of this lovely city. She worked around our coffee and food addictions, exposing us to some great Japanese coffee and local food choices. Highly recommended. TOUR GUIDE RESPONSE: Thank you for your high rating and comment, Nadir. I am also addictive to coffee, so enjoyed coffee time myself! I had a woderfjl time with your nice family. Miyuki worked closely with me to create tours to meet our specific goals in Nagasaki, the Shimabara peninsula, and areas north of Nagasaki regarding the incredible story (mostly tragic) of the Catholic Church in Japan. We covered all the sights we wanted to see in Nagasaki very efficiently, and we wanted to see a lot! Miyuki was very flexible, and added a half-day to our schedule on short notice when our plans changed. She has my highest recommendation. TOUR GUIDE RESPONSE: Thank you, Blaine! I really enjoyed planning your tours. I was surprised to know you were a sponge learning the history in Nagasaki. TOUR GUIDE RESPONSE: I was surprised and very happy to receive your comment and rating 9 months after the tours! Maby the movie" The Silence " reminds you of those tours in Nagasaki? I look forwared to talking about the movie with you after wathing that. TOUR GUIDE RESPONSE: Thank you for your high rating and comment, Carol! I also had a wonderful time with a nice and jolly group. Thank you again for hiring me as a guide veeeery early! Friendly Miyuki was able to navigate the local sites and transportation and bring history alive at the Suwa Shrine. She scheduled a traditional Japanese lunch atop a mountain that overlooked Nagasaki. Most importantly she found for us hand made paper. Miyuki fits well in all kinds of company and is very professional, tactful, and fun. TOUR GUIDE RESPONSE: Thank you for your high rating and wonderful comment, Kathleen! I had a wonderful time and memorable day with you.I am honored to be there as a guide and an interpreter for your reunion. I am sure the friendship between you and your penpal will last forever! Booked the tour a week before the actual date,so wasn't really expecting much but Miyuki surpassed our expectations. Very fast communication. She even booked us a private car and train tickets to help us get to Nagasaki. Very good command of the English language. Very knowledgeable with facts and information. Very pleasant as well. Highly recommended! TOUR GUIDE RESPONSE: Thank you for your high rating and comment, Maria! I had a wonderful time with your family on such a fine day:-) Hope you would enjoy other cities as well during your stay in Japan. Thank you again for choosing Nagasaki as one of the destinations of your trip. TOUR GUIDE RESPONSE: Thank for your high rating to my tour, Yew. Have fun in Fukuoka and safe trip back to your home! We enjoyed our day with Miyuki very much. We did make a substitution to visit Dejima. We are in our 60's and got worn out on our tour so we could not see everything on our list. She was disappointed that we could not see more but we were fine with it. She spoke English well and was friendly and anxious to show us a good time. She picked a great spot for lunch. I highly recommend her. TOUR GUIDE RESPONSE: Thank you for high rating and comment, Thomas! I was not disappointed at all! I am happy you could enjoy the tour on your own pace anytime. When we discussed the itinerary in advance, maybe the first itinerary was too much for you. Also according to your advice, I created a new tour, Your First Nagasaki. It will be easy for first time visitors. My tour of Nagasaki temple row made my trip a truly outstanding experience. Miyuki is very personable and very knowledgeable and we got along great. She was flexible with the itinerary and had no problem designing a tour that met my interests. It was a great tour and a great day. Do yourself a favor and get a tour from her. I highly recommend it! TOUR GUIDE RESPONSE: Thank you for high rating and comment, Paul! I really had a wonderful time with you. Now I am planning to publish a new walking tour based on the first half of the tour we did. I am so happy to show you one of my most favourite places in Nagasaki. Thank you for a very lovely day in Nagasaki. Miyuki is very pleasant and knowledgeable. She is highly recommended. It was great to have a tour tailored to just what we wanted to see, and flexible on the day. Miyuki was very nice to us and had strong knowledge of all things Nagasaki. Highly recommended. TOUR GUIDE RESPONSE: Thank you for your great comment, Andrew. I really had a great time with you and your nice family! I was also touched when your father-in-law prayed at Nagasaki peace park. Hope you would make a wonderful Kyushu trip! We were very happy with our tour. Miyuki was very accommodating and provided us with a tour that covered all of our varied interests. Her knowledge of Nagasaki history was particularly interesting to us. I highly recommend Miyuki as a guide. TOUR GUIDE RESPONSE: Thank you for your great comment, Carol! I really had a wonderful time with you. I was impressed with the story of your family and your great insight of the history. The tour was fantastic. Miyuki asked questions ahead to learn my particular interests. Through our discussions during the day she adapted what we went to see (the tea shop in Chinatown was an unexpected treat). Very knowledgeable about the history and able to offer a Japanese perspective on Nagasaki. For example she relatives working near when the bomb went off (that survived). Because of possible bad weather on the scheduled day, she suggested that we have the tour a day earlier. Was VERY nice for me. TOUR GUIDE RESPONSE: Thank you for your great comment, Donald. I had a wonderful day with you in such a nice weather:-) and glad to hear that you would like to come back to Nagasaki at the end of the tour. Hope you would enjoy the places you saved for your next trip some day. We were met by Miyuki at the port, and could not have asked for a better guide or nicer person to spend the day with. She covered all of the highlights of this historic town. In addition, at our request, she had located the Jewish Section of the Sakamoto International Cemetery. This was a unique and special part of the tour that she researched for us. Miyuki is bright, incredibly knowledgeable about her hometown, speaks flawless English, and is just a joy to explore with. Hats off to Miyuki. An excellent guide! Miyuki knows Nagasaki city very well. She goes out of the way to organise any transportation or food requirements. Very fast communicator over email. Excellent english. Thank you Miyuki for showing me and my family around! TOUR GUIDE RESPONSE: Thank for your great comment and high rating for my guiding service, Joseph! I really enjoyed with you and your wonderful family.Best wishes for a happy life with your cute fiance! Miyuki is a stellar guide! Her outstanding knowledge of Nagasaki gave us more than a taste of the region's history, folklore, economy, geography, and cuisine. Thorough explanations and insightful remarks - in impeccable English - were mixed with great enthusiasm for the city, the prefecture, and Japan overall. Thank you, Miyuki! TOUR GUIDE RESPONSE: Thank you for your great comment, Daniel! I really enjoyed talking with you and Amy as you are deeply interested in Japanese things. I was also happy to share the memory of Amy's grandmother especially about her cooking. Hope you would enjoy the rest of the days in Japan. TOUR GUIDE RESPONSE: Thank you for your great comment, Paul. I also enjoyed two days with a wonderful family. Have a safe trip back your home! See comments for Paul 2 Tour. TOUR GUIDE RESPONSE: Thank you for your great rating, Paul! Miyuki took our family of 5 on a full day tour. She kindly arranged a driver for us (at our additional expense) since we were a larger group and my mom doesn't walk well. She and the driver were very kind to my mom and we would not have been able to see all the sights without them. I highly recommend her services. TOUR GUIDE RESPONSE: Thank you for your comment for my guiding service, Joan. You are a really wonderful family and I enjoyed talking with your mom in English and Japanese.Hope you would come back to Japan again! We made a special request to Miyuki to extend our trip in Nagaski. We wanted to hire a car to self drive but with Miyuki to accompany us so we can see the beautiful coastside and beach in the peninsula. This is highly recommended as the drive was exhilarating! Thank you Miyuki for exploring the car rental with us and ensure that we have the best deal in hiring a car. We have a special day in Nagaski and planning for a return trip already! TOUR GUIDE RESPONSE: It was also a special tour for me to accompany with the guests who drive a car. As I love the beautiful view of Nomozaki peninshula, I was so happy to show you some scenic spots. Thank you for giving me such a pleasant opportunity. I hope you would enjoy a return trip again! We really enjoyed our tour with Miyuki. She gave us an inspiring insight into the history of the US and Japan. We also enjoyed a wonderful lunch away from all the tourists!!! Miyuki was great! We had the best lunch with her too. She was informative and professional. Had a great command of the English language. Brought us to all the sights and explained them. We rode the tram with her and got to see how the locals travel and it was a great day. Would recommend her anytime! Miyuki is an excellent tour guide who is very responsible and sensitive about our need and ability.She took good care of my old mother and my wandering teenager boy so we felt completely safe. She knows the hidden feature of Nagasaki with great personal touch. We were the most happy with her service and can recommend her with highest confidence. TOUR GUIDE RESPONSE: Dear Paul, Thank you for your great comment! You were so nice family and I was glad to guide you my hometown on the special day of Peace ceremony. Hope you would have some chance to come and visit Nagasaki again! TOUR GUIDE RESPONSE: Thank you for your great comment and rating, Paul. You and your wife are really interested in Japanese life and culture, so I really enjoyed talking with you. The children of Kindergarten seemed to be very happy to meet and talk with you also. I suppose I need to get used to Irish and British intonation and pronunciation from now on! If you are looking for the details (for example roof design of buddisttemples), she can make it happen! We wanted to see "everything" in Nagasaki within a limited time period (dictated by the cruise ship from arrival till departure). And we saw "everything" - much better than the tours offert by the cruise company. We can only recommend her! TOUR GUIDE RESPONSE: Thank you for your great commnet, Michael. You were very nice couple! I really enjoyed walking around Nagasaki city togehter. 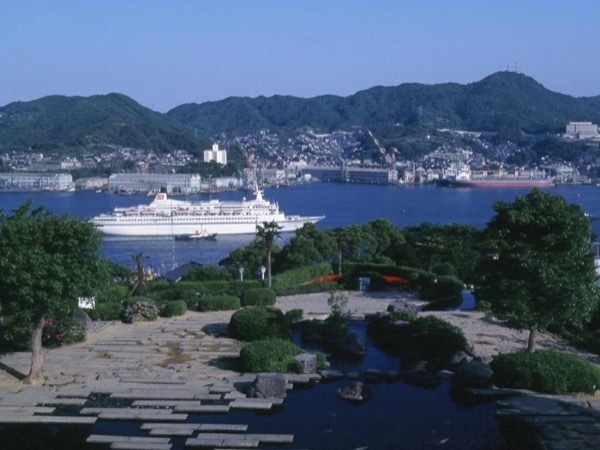 Yes, I showed you the highlits of Nagasaki, but there are many places to visit more in Nagasaki. Hope you would come and visit again! Outstanding two day sightseeing trip done extremely well during rainy season. Miyuki changed the trip's itinerary to get us to the outdoor Nagasaki sites on the one day when the weather was clear. She was prompt, thorough, flexible and personable. Her English could be improved, but is acceptable. She knows the best local merchants and their products well. She helped me purchase a kimono at a very reasonable price. She picked two great restaurants for lunches. Highly, highly recommended. TOUR GUIDE RESPONSE: Dear Phil and Marla Thank you for your great comment! I also had wonderful two days with you and local people in Nagasaki. I feel I need to improve my English especially developing my vocabulary to explain about the volcano and geography as you knew much better than me about that!! You said you would tell other people Japan was safe and worth visiting. Those words really encouraged me as a tour guide in Japan. I wish you and your family all the best. Our guide, Miyuki, met us at the station, she held high a sign with my name on it, so I could recognise her, we then including my sister had a cup of coffee (my suggestion) so as to get to know each other, Miyuki, again confirmed the areas, items of interest that we would like to see / visit, she was most accommodating with all of our requests, at all times she was courteous, well groomed, & attentive, she answered lots & lots of questions, with her great English & local knowledge, she made our visit. TOUR GUIDE RESPONSE: Thank you,Bob and Cheryl. I appreciate for your great comment.I was very happy to answer your thousands of questions about the things Japanese and Nagasaki and very impressive that you were interested in Japanese culture and history so much. Your jokes kept me laughing all the time during the tour:-)) I hope you and your sister would visit Kyushu again. Miyuki was a fantastic tour guide in Nagasaki. She was very knowledgable about the city, its history and its shopping! We had a great time and felt like she was a friend right from the start! We learned a lot and had a lot of fun. TOUR GUIDE RESPONSE: Thank you for a great review ! Hope earplugs was useful for you to watch the spirit procession or shoro nagashi at night. I really had a good time with you, artistic ladies! I was very glad to have Miyuki as guide. She is a professional and can adjust a tour that you wish. I really appreciated this day tour.